The goal of a dictionary is to reflect accurately the language in question as it is used by native speakers both in speech and in writing. In the case of Kurmanji, the northern dialect of Kurdish, the spoken language is far more developed and varied than the written language, largely due to the fact that the Turkish, Iraqi, Iranian, and Syrian governments have banned the use of Kurdish for all official purposes. The goal of a dictionary is to reflect accurately the language in question as it is used by native speakers both in speech and in writing. In the case of Kurmanji, the northern dialect of Kurdish, the spoken language is far more developed and varied than the written language, largely due to the fact that the Turkish, Iraqi, Iranian, and Syrian governments have banned the use of Kurdish for all official purposes. In practice, this means that most speakers of Kurmanji are illiterate, at least in Kurdish: if they have any formal education, it is either in Turkish, Arabic, or Persian. Only the Kurdish minority in formerly Soviet Armenia has had the opportunity to be educated in Kurmanji. The situation for Sorani, the central dialect of Kurdish, on the other hand, is more balanced in this respect: many more native speakers of this dialect are also literate in it, and have consequently incorporated a more technical vocabulary into their everyday speech. Kurmanji lexicographers are faced with a dilemma: when dealing with a language that has yet to develop a technical vocabulary, they have the task of providing what is used by people, and on the other hand feel a duty to provide the missing technical vocabulary. 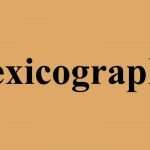 Modern lexicographers strive to present a work which is descriptive, i.e., a realistic reflection of the language as it is used by native speakers. However, when it comes to technical vocabulary known only by a small literate intelligentsia, the imposition of such vocabulary items on a populace unfamiliar with them, in the hope that some day such terms will gain currency and be accepted by the general population, is in danger of making the dictionary into a prescriptive, rather than descriptive, work. I have been working for the past eight years on the compilation of a comprehensive Kurmanji Kurdish-English dictionary. 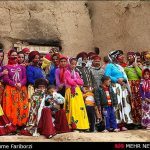 This mammoth project includes a critical look at the various Kurdish dictionaries already in existence (Kurdish-Russian, Kurdish-Turkish, Kurdish-Arabic, Kurdish-French, Kurdish- German) — taking care to weed out old errors — plus additions from my own fieldwork, both abroad and with immigrant communities in this country. Moreover, I have culled many words from my own reading of literary, folkloristic, and journalistic sources. Besides reflecting modern usage, I am attempting wherever possible to give accurate etymologies for the words in the dictionary, an undertaking which will link Kurdish with the wider field of Iranian linguistics (Iranistics). At UC Berkeley, Professor Martin Schwartz has been of invaluable assistance in this endeavor. Unfortunately, Kurdish lexicography is not a matter of simply compiling the data from all the existing dictionaries into one big lexicon. Originally, it was my goal to do just this, augmenting the result with my own field notes. I soon learned, however, that all too many of the existing Kurmanji dictionaries are full of inaccuracies and mistakes: by listing entries of such questionable value, one would be running the risk of giving new life to old mistakes. Moreover, the published dictionaries tend to be too limited in scope. Most deal only with the vocabulary of one region — an aspect of advantage mainly for dialect geography. Only the newer ones have tackled modern journalistic vocabulary. Some dictionaries borrow liberally from earlier dictionaries and works, reviving old errors in the process. Although Kurdish can be written in three different alphabets — between which there is a simple one-to-one correspondence — only one dictionary (Omar) uses both Latin and Arabic script, thereby making the work easily accessible to Kurds from Turkey as well as to those from Iraq and Iran. Three aspects of Kurdish phonology are rather unevenly treated in the dictionaries: emphatic consonants, gutturals, and aspirated consonants. Regrettably the emphatics (akin to Arabic /ذ/, /ص/, /ض/, /ث/ ) are largely undocumented in the existing dictionaries. The older dictionaries in Arabic script hint at this feature by employing the Arabic letters /ط/ occasionally. My informants from Iraqi Kurdistan generally have an emphatic where the old dictionaries use these Arabic emphatics. In her texts from Amadiya and Jebel Sinjar, Joyce Blau regularly indicates this feature by underscoring the consonant in question (s– t– z). Although this issue has been the subject of detailed study in Arabic, the only work I know of which deals with it in Kurdish is the dissertation of Margaret Kahn, author of "The Children of the Jinn". Some work on the same feature in the neighboring Neo-Aramaic dialects has been done by the late Irene Garbell and Robert Hoberman. This seems to be an areal feature. As for the gutturals, many Kurds refuse to accept the fact that these "Arabic sounds" exist in their language, and consequently neglect to include them in their writing system. The fact is that not only the Kurdish of this region, but also the Turkish and the Neo-Aramaic dialects spoken here exhibit guttural sounds. What’s more, the sounds represented by q and x are also found in Arabic, but are not rejected on the same basis. This entire argument is unscientific at best, and is really a political statement which has no place in a scholarly discussion of phonetics and orthography. These guttural sounds are an integral part of the Kurdish language of today, and should be recognized as such, as they already have been by Soviet scholars, as well as by Margaret Kahn in her doctoral dissertation. Professor Otto Jastrow, a specialist in Neo-Aramaic and Arabic, believes that this feature was borrowed into Kurdish from Aramaic before the Islamic conquests brought Arabic to Kurdistan. In any case, those who write Kurdish in Latin script, with the notable exception of the Soviet-trained scholars, tend to ignore the gutturals for the purposes of writing. The Soviets write these sounds as /ح/, the latter /خ/ borrowed from Bedirxan, the former two created by analogy. Those who write in Arabic script generally have no Problem writing /ق/ in the appropriate places. There is a great deal of regional variation regarding these sounds. The word for ‘forehead’ is e’nî – enî – henî and even // enî depending on where the speaker hails from. Moreover, it is a shibboleth of both Yezidi speech and the Sorani subdialect of the Arbil region to transpose /e/ and /z/ such that the name // acî ‘Alî becomes ‘Acî // alî. If these sounds did not exist in Kurdish, how could we explain this very Kurdish dialectal feature? Finally, the aspirated/non-aspirated consonantal pairs (p’-p/t’-t/k’-k/ç’-ç) are regularly distinguished by the Soviet scholars and in a few works by modern linguists. The Soviet scholars, many of whom also know Armenian, have no doubt been influenced by the existence of this feature in Armenian as well. This distinction is generally ignored in modern Kurdish publications, with the notable exception of Musa Anter’s Kurdish-Turkish dictionary — in which only the pair aspirated k/non-aspirated k is distinguished — and in Baran Rizgar’s Kurdish-English/English-Kurdish dictionary. In the Arabic script, no way has been devised to distinguish these consonantal pairs. Nevertheless, for my informants from Iraqi Kurdistan — who are most comfortable using the Arabic script — the distinction is real, and has a phonemic importance. For example, they distinguish kitik = ‘dried figs’ (with non-aspirated k) from k’itik = ‘cat’ (with aspirated k). It should be noted that the earliest collectors of Kurdish texts, among them Oskar Mann, Albert Socin and M. Auguste Jaba, while failing to distinguish these various consonantal niceties, went overboard in trying to record the most infinitesimal gradation of vowel length. The same can be said for contemporary texts in Arabic, Neo-Aramaic, Turkish, and the like. Another problem with the existing dictionaries (particularly Anter, Gewranî, Torî, Maqdisi, and Îzolî [1st ed.]) is the plethora of misprints in them. Because of this extremely common phenomenon, it is sometimes unclear whether what appears to be a variant form is in fact a typo, or simply due to regional variation. It is, of course, beyond the scope of most dictionaries to bother about indexing typographical errors as if they were real words. One effective solution to the problems outlined above — both phonetic inexactitude and the frequent occurrence of misprints — can be suggested: reliable informants. With the recent influx of refugees from Iraqi Kurdistan, there are more native speakers of Kurdish in this country than ever before. For the dialects of Kurdish spoken in Turkey and Syria, the Kurdish immigrant population in Europe is so numerous that almost every conceivable subdialect is represented there. Not every native speaker is an ideal linguistic informant, but by befriending these people and gaining their trust, a lot of the mistakes of the past (both linguistic and otherwise) can be addressed. The two earliest dictionaries are Ahmed-i Khani’s Nûbara biçûkan (1094 A.H. = 1682-83 A.D.) and Garzoni’s Grammatica e vocabolario della lingua kurda (Roma 1787). The former was a rhyming Arabic-Kurdish lexicon for use in Islamic kuttabs, to teach basic Arabic words to Kurdish schoolboys. It is available in a reprint edition through the Philo Press in Amsterdam. The latter was written by an 18th century Italian missionary, Maurizio Garzoni, to enable missionaries to converse with Kurmanji-speakers. My distinguished colleague Amir Hassanpour has a detailed discussion of Kurdish lexicography in his fine book Nationalism and Language in Kurdistan, 1918-1985 (1992). He deals largely with Sorani, the central dialect of Kurdish, and with monolingual dictionaries. In what follows, I will discuss the Kurmanji dictionaries one by one, beginning with the three most reliable ones. Jaba, Auguste & Ferdinand Justi. Dictionnaire Kurde-Français(St.- Petersbourg: Eggers et Cie, 1879), xviii, 463 p.
This is the first important early Kurdish-foreign language dictionary. The entries are in Arabic script with a rather unsystematic Latin transcription. Although this work predates the modern orthographies and is of little use for phonological purposes, the definitions are remarkably thorough and reliable, which is all the more praiseworthy considering the limited resources available at the time. Earlier vocabularies, such as those of Garzoni, Rhea, Lerch, and Prym & Socin, are subsumed into this work. The major drawbacks of the work are, in addition to the transcription system already mentioned, that the gender of nouns, as well as the present stem and ± transitivity of verbs, are not regularly given. Maqdisî, Diyâ’ al-Dîn al-Khâlidî (= Ziya al-Din Pasha) Al-Hadîyah al-Hamîdîyah. (Beirut, 1975), 56, 240 p. = Mohammad Mokri. Recherches de Kurdologie: dictionnaire Kurde-Arabe de Dia’ Ad-Din Pacha al-Khalidi: introduction et notes linguistiques, notice sur la phonétique et la graphie arabo-persane du dialecte kurmandji, Textes et études religieux, linguistiques et ethnographiques (Langues et civilisation iraniennes), no. 4 (Beyrouth & Paris, 975), 56, 240 p.
First published in 1892, this is a Kurdish-Arabic dictionary based on the dialect of Bitlis, Turkish Kurdistan. Ziya al-Din Pasha, a Palestinian Arab, was a high-ranking Ottoman official, and composed the dictionary while he was kaymakam (governor) of Motkî in the vilayet of Bitlis. It is in Arabic script, and although it predates the modern orthography, it employs a system that corresponds exactly to the later orthographies. Although neither the gender of nouns nor the ± transitivity of verbs is indicated, the present stem of verbs is regularly included. The meanings given are generally quite reliable: almost every word I collected from an informant from Kurtalan/Misirç (town in Siirt province) was faithfully mirrored in this dictionary. We are fortunate to have such a work, in spite of its shortcomings. It was reissued in Turkey in 1978, with Turkish translations rather than the original Arabic, by M. Emin Bozarslan. Bakaev, Ch.Kh. Kurdsko-Russkii Slovar’ … okolo 14000 slov s prilozheniem grammaticheskogo ocherka kurdskogo iazyka(Moskva: Gosudarstvennoe Izdatel’stvo Inostrannykh i Natsional’nykh Slovarei, 1957), 618 p.
This Kurdish-Russian dictionary was the work of a trained linguist, a native speaker of the language The entries are in the Cyrillic alphabet, distinguishing both aspirated/unaspirated consonant pairs (p/p’; t/t’; k/k’; ç/ç’) and differentiating guttural (ع/ح/غ) from (e/h/x). Moreover, the gender of nouns, as well as the ± transitivity and present stem of verbs, are provided. Entries are often illustrated with sample sentences. Although this dictionary is smaller in scope than Kurdoev’s work (to be discussed below), it is more reliable and scientifically sounder. It includes a survey of grammar, with tables for verb conjugations and noun inflections. Although not the trained scholar that Bakaev is, Kurdoev also wrote a good detailed grammar of Kurmanji Kurdish. Anter, Musa. Ferhenga Khurdî-Tirkî = Kürdçe-Türkçe Sözlük (Istanbul: Yeni Matbaa, 1967), 167 p.
This Kurdish-Turkish dictionary was compiled while the author was in prison in Istanbul. It is little more than a word list, with so many typographical errors thatthe accuracy of the whole work is in question. The only aspirated/unaspirated distinction is for /k/, the aspirated k [elsewhere written k’] indicated by kh, and then only initially. Neither the gender of nouns nor the ± transitivity or present stem of verbs is given. This had been the only dictionary available in Turkey until recently, even though it has long been banned. 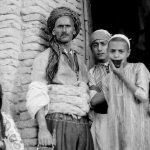 Although grossly inadequate for scholarly discussion of the language, anti-Kurdish pseudo-scholars in Turkey have used it as a resource in their embarrassingly unscientific attempts to disprove the existence of the Kurdish language, unaware that drawing from such a limited resource undermined their work even more. Although this work is lacking in many of the requisite areas, in the course of reading Kurdish texts I have occasionally come across words that were explained in this dictionary alone, such as çerxî, a silver coin in use during the Ottoman Empire. Blau, Joyce. Kurdish-French-English Dictionary = Dictionnaire Kurde- Français-Anglais (Bruxelles: Centre pour l’Etude des Problèmes du Monde Musulman Contemporain, 1965), xvii, 263 p.
This was an early attempt by Joyce Blau of the Sorbonne to compile a dictionary of literary Kurmanji. The words which appear in it are largely taken from the Kurdish journals of the 1930’s and 1940’s, which endeavored to create a vocabulary to deal with modern issues. The English definitions are often rnistranslations of the French definitions, themselves of questionable reliability, since many of the words never became part of the living language. Although the gender of nouns is included, according to Professor MacKenzie the gender is often incorrect, or at least in conflict which what is attested elsewhere. The present stem of verbs is regularly given, but the issue of ± transitivity is not addressed. Neither the aspirated/unaspirated dichotomy nor the guttural sounds are recognized. This work is basically an early mistake, which even Blau herself will concede. Fortunately, her later work, to be discussed below, makes up for it. I myself originally consulted this dictionary, but soon realized that it was nearly useless and have long since stopped using it, except to check an occasional neologism. Considering the questionable utility of this work, it is particularly unfortunate that it, rather than Jaba & Justi’s or Bakaev’s work, has been chosen for reissue in Turkey. Blau, Joyce. Le Kurde de cAmadiya et de Djabal Sindjar: Analyse linguistique, textes folkloriques, glossaires (Paris: C. Klincksieck, 1975), 252 p.
This work by the same person is a much more serious piece of scholarship. It consists of a linguistic analysis, folkloristic texts with French translation, and accompanying glossaries of Southern Kurmanji material she collected in Amadiya and the Yezidi region of Jabal Sinjar, Iraqi Kurdistan in 1967 and 1968. The two glossaries — one each for Amadiya and Jabal Sinjar — include the gender of nouns and the present stem of verbs, but fail to indicate ± transitivity. These are the glossaries for the accompanying oral texts, and are therefore reflective of the living spoken language of two particular localities, rather than the artifically devised journalese of her earlier work. These traits, together with the annotated bibliography at the beginning of the book, make this an important contribution to the study of the Kurds and their language. Îzolî, D. Ferheng: Kurdî-Tirkî, Türkçe-Kürtçe[1st ed.] (Den Haag: Komeley Xwêndkaranî Kurd le Ewrupa, ), 413 p.; [2. ed.] (Istanbul: Deng Yayinlari, 1992), 913 p.
This is a fairly recent Kurdish-Turkish and Turkish-Kurdish dictionary, put together by a Kurd from the Dersim/Tunceli region in Turkey. As with Blau’s earlier work, the dichotomy between aspirated and unaspirated consonantal pairs is ignored, as well as the gutturals e’/h/x. The gender of nouns is sporadically given, while both the present stem and + transitivity are indicated. The sources of this dictionary are composite: there is heavy borrowing from Anter’s and Blau’s less-than-satisfactory dictionaries, thereby often giving new life to definitions of questionable accuracy. On the other hand, there are also borrowings from Ziya al-Din Pasha’s fine work. What makes this dictionary unique is the words peculiar to the compilerbs native region, some of which appear in print for the first time, e.g. hîlî = ‘mirror’ ( < Armenian hayeli), havlêk = ‘broom’ (< Armenian avel). Several of my informants in California are from this region, so I have independent confirmation of these latter items. The first edition was published in Europe, and was therefore not readily available in Kurdistan itself. The second edition, published in Istanbul, is a considerable improvement on the first. Many of the typos have been corrected, and the entries have been more carefully arranged. The editorial staff of the recently closed Kurdish newspaper Belat made broad use of this second edition. 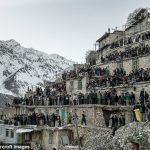 Khamoian, M.U. Kurdsko-Russkii Frazeologicheskii Slovar’: soderzhit okolo 8000 frazeologicheskikh statei (Erevan: Izdatel’stvo AN Armianskoi SSR, 1979) 273 p.
This is a Kurdish-Russian phraseological dictionary, in Cyrillic script, preserving both the aspirated/unaspirated dichotomy and the gutturals . This work goes beyond what one can hope to find in standard foreign language dictionaries. It specializes in idioms and expressions, and is essential for the serious student of folk literature. There are frequent illustrative examples, mostly from orally generated texts. Farizov, I. O. Ferhenga Urisï-Kurmancï = Russko-Kurdskii Slovar’ (Moskva: Gosudarstvennoe izd-vo inostrannykh i natsional’nykh slovarei, 1957). 781 P.
In this Russian-Kurdish dictionary, the vocabulary offered is suspiciously Persian in many cases: it seems that when Farizov was in doubt as to the Kurdish equivalent of a particular term, he borrowed the Persian word. For instance, one word for ‘turkey’ [the fowl] is büqelemün (< Persian büqalamü:n), according to him. No other Kurmanji dictionary has this word, and of the many words for ‘turkeyX that exist in Kurmanji (culü; coqcoq; [e’l]e’lok; amî; k’ûrk’ûr, etc. ), he only lists kûrkûr. The Kurdish glosses are in Latin characters, lacking the distinction between aspirated and unaspirated consonant pairs, but distinguishing guttural from h/x (although not differentiating e’ from e, having e for both). The gender of nouns is indicated. This is a relatively limited dictionary, both in terms of scope and reliability. S. Siabandov & A. Chachan. Xebernama Ermeni-K’urdî = (Erevan: HayPetHrat, 1957), 352 p.
This is an Armenian-Kurdish dictionary. The Kurdish is in Cyrillic characters, preserving the aspirated and guttural distinctions mentioned above. Neither the gender of the Kurdish nouns, nor the present stems or ± transitivity of verbs is indicated. This work is more reliable than Farizov’s dictionary. Zîlan, Re ,so. Svensk-Kurdiskt Lexikon (Nordkurdiska) = Ferhenga Swêdî-Kurdî (Kurmancî) (Stockholm: Statens Institut for Läromedel, 1989), 311 p.
A Swedish-Kurmanji dictionary in Latin script, intended to help Kurdish immigrants in Sweden to learn Swedish. There is also a Swedish-Sorani dictionary published by the same institute. Because the dictionary is intended for Kurmanji-speaking Kurds from both Turkey and Iraq, the Kurdish definitions for any given Swedish word often list several different equivalents, which has the added benefit of supplying Kurdish synonyms. However, because the intended readership is native speakers, detailed information such as the gender of nouns has been excluded. The dictionary includes an entire section with pictures, featuring the names of various items — in Swedish only. Although comparable pictorial material for learning other languages exists, none has as yet been developed for Kurdish. Kahn, Margaret. Kurmanji-English, English-Kurmanji Lexicon (Ann Arbor: The University of Michigan, 1974) Typescript . This is the word list that Margaret Kahn compiled from her native informant who hails from Silvan (Ferqîn), near Diyarbakir, Kurdistan of Turkey. The words are in her own phonetic script, with gender of nouns sometimes provided, but neither ± transitivity nor present stem of verbs regularly provided. There are also some useful comparative notes. Considering how little linguistic work has been done on the Kurdish dialects of Turkey since the founding of the republic, this work is of paramount importance, even though it is based entirely on the speech of one informant. Nikitine, B. Samdînâî Kurdish. (ed. by D.N. MacKenzie). Unpublished texts . The glossary that accompanies Nikitine’s texts are also from one informant, a native of S,emdinli, Hakkârî province, Kurdistan of Turkey. I have reason to believe that the informant was living in Iran when the texts were collected, as there are many Persian, and even some suspiciously Sorani- looking items here. The (Southern) Kurmanji-English vocabulary, prepared by Professor D. N. MacKenzie, is in Latin phonetic transcription, with comparative notes for Akre and Amadiya in Iraqi Kurdistan. Information on gender of nouns, present stems of verbs, and the like are limited — as is the vocabulary itself — to what occurs in the texts of Nikitine’s informant; hence, for some nouns the gender is unclear. I am very grateful to both Margaret Kahn and to D.N. MacKenzie for making these unpublished vocabularies available to me. Gewranî, Ali Seydo Ali. 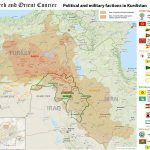 Ferhenga Kurdî Nûjen: Kurdî – Erebî = al-Qâmûs al-Kurdî al-hadlth : Kuldî – ‘Arabî  (‘Ammân: Sharikat al-Sharq al-Awsat, 1985), 670 p.
This Kurmanji-Arabic dictionary is riddled with misprints. Neither the gender of nouns, nor the v± transitivity or present stem of verbs is indicated. Nevertheless, this dictionary by a Jordanian Kurd includes almost the entire vocabulary used in the important Kurdish journals Hawar and Ronahî and the newspaper Roja Nû, all of which appeared in the1930’s and 1940’s. Consequently, a good deal of journalistic vocabulary is included. With regard to phonetics, some attempt is made to use the gutturals , although not consistently. Moreover, neither emphatics nor aspirated consonants are indicated. Torî Ferheng: Kurdî-Tirkî, Türkçe-Kürtçe (Istanbul: Koral, 1992), 496p. A Kurmanji-Turkish and Turkish-Kurmanji dictionary. Like Gewranî, this dictionary also lacks the basic features of marking the gender of nouns and the ± transitivity and present stem of verbs. In addition to a fairly limited vocabulary, the order of the Latin alphabet is rather peculiar, putting X between G and H. Q between K and L. Kurdoev also follows the latter practice; however, Kurdoev puts X (and ) after H. not before it. Both systems are departures from the normal order, and therefore create confusion that could be avoided. On the positive side, Torî gives fairly detailed definitions in Turkish, which often illuminates meanings that are rather sparsely covered elsewhere. Being of recent vintage, this dictionary includes several of the most recent neologisms. As far as phonetics go, no attempt whatsoever is made to mark emphatics, gutturals, or aspirated consonants. Omar, Feryad Fazil. Kurdisch-Deutsches Wörterbuch = Ferhenga Kurdî-Elmanî (Berlin: Verlag fur Wissenschaft und Bildung, Kurdische Studien, 1992), 721 p.
This recent Kurdish-German dictionary by a Kurd living in Germany attests to the fact that with a little formal linguistic training, native speakers can provide the minimal information required for a good dictionary. This is the only Kurmanji dictionary to provide main entries in both Arabic and Latin script, thereby making it accessible to Kurds in Iraq and Iran as well as to those in Turkey. The gender of nouns is regularly provided, as is the ± transitivity and present stem of all verbs. According to the introduction, in addition to culling vocabulary from literary sources, some fieldwork was undertaken, which explains the fairly wide range of vocabulary, including both traditional and modern spheres of usage. Although neither emphatics nor aspirated consonants are indicated, the gutturals are: . Rizgar, Baran. Kurdish-English English-Kurdish Dictionary = Ferheng Kurdî-Îngîlîzî Îngîlîzî-Kurdî (London: M.F. Onen, 1993), 400 p.
Considering the fact that Mr. Rizgar is not a trained linguist, he has done a very nice job. I particularly like the idea of having an easy to use English- Kurmanji dictionary. However, his emphasis on written sources, while the language is in reality primarily spoken, detracts considerably from its utility. The gender of nouns, and both the present tense and ± transitivity of verbs are presented. The designation n. is used, indicating that "the noun is neutral [i.e.,] has not a certain gender (the gender may change in different regions), or [that he] could not determine the gender." How can a native speaker of a language, particularly one who is a lexicographer, not know the gender of a noun? 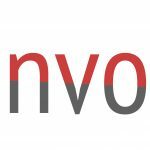 Are there no other native speakers to consult about this? I assume this is more of a problem with regard to artificially coined neologisms than with words from the spoken language. A distinction is made between the paired sounds t/t’ – p/p’ – k/k’ – ç/ç’ (unaspirated/aspirated), which is of great value to linguists and phoneticians. However, Mr. Rizgar’s choice of designation is unfortunate. Had he availed himself more of the works of the Soviet Kurdologists (particularly Bakaev), he would have seen that by marking the non-aspirated member of each pair, he has deviated from the established practice of marking the aspirated member. For example, ‘to do’ is generally written kirin (with non-aspirated k which is unmarked), and ‘to buy’ is k’irîn (with aspirated k which is marked with an apostrophe [k’]). Mr. Rizgar has reversed this distinction, writing the former as kirin and the latter as kirîn. For the non-native speaker, much less for the handful of literate Kurmanji speakers, distinguishing between these paired consonants is difficult enough. In switching the system around, Mr. Rizgar has added another confusing dimension which is both unnecessary and avoidable. He is, nonetheless, to be praised for maintaining this distinction where others have not. Regarding orthography, the guttural sounds (ع/ح/غ) are distinguished from e-h-x by an underscore (, similar to Omer’s practice in his Kurmanji-German dictionary. Because Mr. Rizgar has not differentiated well-entrenched words from newly coined ones, I suspect that his dictionary may be of more use in dealing with a particular type of written Kurmanji than in effectively communicating with the average Kurdish peasant. My most recent students have used Mr. Rizgar’s dictionary while preparing for class, and have told me that, while helpful in reading newspaper articles, it was of little help in reading folkloristic materials. Moreover, the Kurdish immigrants from Iraq who have gotten copies of it find that because it is in Latin script, it forces them to accustom themselves to the new alphabet — important for them primarily in reading English. However, the Kurdish definitions are often unfamiliar to them. The term "written Kurmanji" must be clarified, for there are two different types which may be encountered. Firstly there is Modern Literary Kurmanji, the type of language one sees in journals and books written by and for literate Kurmanji-speaking Kurds: this includes such early 20th century journals and newspapers as Hawar, Roja Nû, Ronahî, the current journals Hêvî and Rewşen, the magazine Berbang, and the newspaper Begat, as well as literary works such as the poetry of Cegerxwîn and Osman Sebrî. This style includes many newly-coined technical terms which may or may not have caught on among those few who have been fortunate enough to have achieved some smattering of literacy vis-à-vis Kurmanji. Such vocabulary, which is largely unintelligible to the masses of Kurmanji speakers, is the basis of Mr. Rizgar’s dictionary. Secondly, there are collections of folklore which have been committed to writing. Kurdish has an extraordinarily rich repertoire of oral literature: there are folktales, legends, romances and epics, anecdotes, folk songs, ballads, poems, proverbs, and riddles, to name only the more salient ones. European scholars began collecting such materials in Kurdish in the middle of the l9th Century, and in recent times the Soviet Kurdologists have been the most avid collectors and publishers of such materials. It is this latter category that accurately represents the Kurmanji language as it is spoken, and especially as it is used by active bearers of the tradition — although there is also a special vocabulary used in storytelling which is not part of everyday speech. Though many of the storytellers are illiterate, their grasp of their mother tongue is exemplary in many ways. 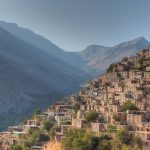 Considering the fact that at this point in time, Kurmanji is primarily a spoken language, this second category must be a major focus of any comprehensive Kurmanji dictionary. Nevertheless, as long as the modern literary vocabulary is clearly distinguished in some way from this fundamental language, there is no reason why it cannot also be included. In the Kurmanji-English dictionary I am compiling, I have attempted to solve this problem by marking neologisms with the abbreviation (neol). Those who feel that it is the modern technical vocabulary that should be given the most prominence in a work such as this are, in my opinion, ahead of (or at least out of touch with) where the Kurdish people and their language are today. As mentioned above, the reality is that only a few thousand of the 18-20 million Kurds who speak Kurmanji as their mother tongue are literate in it. This is indeed a very troubling situation: nonetheless, a scientifically sound work must reflect in realistic terms the state of the language as it exists today, distinguishing this clearly from where it "should" be, or where some of its speakers wish it already were. Hence, by flooding a dictionary with technical terminology which is unfamiliar to the bulk of native speakers of the language, the degree to which such a dictionary remains faithful to the reality it purports to represent is brought into question. The Bedir Khan brothers, early twentieth-century Kurdish intellectuals to whom we owe the invention of the Latin orthography for Kurdish, were unable to brook the notion that Kurdish by its very nature exhibits multiformity and bristled at the thought that it exists in many dialects. For them, any suggestion that the Kurds are not a single, unified people was viewed as a threat. It is in this manner that linguistic inquiry runs the risk of becoming a charged political issue. In the time that I have spent studying Kurdish, I have familiarised myself with the various subdialects of both Kurmanji and Sorani, and although they offer very interesting and illuminating differences, I fail to see how these differences present a threat: even the Kurmanji dialects at the two furthest extremes of Northern Kurdistan (let us take as examples E’frîn in northwestern Syria, and Kars in northeastern Turkey on the border with Soviet Armenia), readily possess a mutually intelligibility. In San Diego, one even hears Kurmanji speakers conversing with Sorani speakers — each speaking his own dialect and understanding the other. It is not possible to avoid encountering regional variation in the dictionary of a language as rich as Kurmanji, where the same word may assume different forms depending on the region (e.g. the word for bat [the animal, Chiroptera], which has such varied forms as: barç’imok, baçermok, balç’emk, balçermek, balçimk, balç’imk, berçem, [bârcbmik] (JJ), p’erçemk, pirçemek, and pîrçemek), where different regions may employ different words (e.g., to freeze, be cold: qefilîn, but qerim[t]în in Southern Kurmanji, and qerisîn in the Dersim/Tunceli region), or where the same word may have different meanings in different regions (e.g., qefilîn, which means to freeze’ in most places, but to be tired in the Dersim/Tunceli region). A factor which complicates matters even more is that in spite of the illiteracy of the majority of the Kurdish populace, there exist three different alphabets in which Kurdish can be written: Latin, Cyrillic, and Arabic. It is the lexicographer’s prerogative to create order out of this ‘chaos’: for example, in the case of the multiformity of a particular word such as bat, he must choose one form as primary and refer all the others to it. Moreover, he must choose one alphabet and show how the others relate to it. We are fortunate that there is a one-to-one correspondence between the three alphabets in use for Kurdish. A chart of the three alphabets in which Kurdish is written is a common feature in the dictionaries. Your handouts include the one I have drawn up. the goal is to supply as much information for each entry as possible, including both historical (diachronic) information by supplying linguistically sound etymologies and synchronic information by providing sample sentences for each meaning of a given word, variant forms, and synonyms, as well as inflections for verbs and nouns. My source material consists of textual matter from the spheres of folklore, literature, and journalism, as well as extensive notes from my own fieldwork — all of this checked against the existing Kurdish dictionaries. In addition, bibliographic references for further study are provided whenever possible. With the information provided on regional variation, it should eventually be possible to map the geographic distribution of dialectal features. 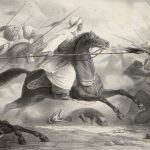 In short, the dictionary should be of use not only to Kurds and Kurdologists, but also to scholars in the fields of linguistics — including dialectology, studies of grammar, and historical Iranian and Indo-European linguistics — as well as for folklore, history, literature, and journalism. This project, which already exceeds 600 pages of computer printouts, will hopefully be ready for publication within the next five years.